It's time friends!! 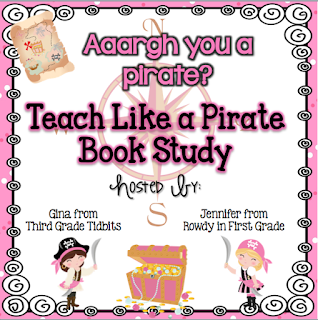 We are kicking off our Teach Like a Pirate book study today! Have you purchased and started reading your book yet? "We are not passionate about everything we teach." Whew! Doesn't it feel good to just admit that? Dave discusses the three different areas of passion- Content, Professional, and Personal. My content passion- my favorite IB unit is our Sharing the Planet unit/conservation. I love reading but struggle with the best ways to teach it. But because I love it, I am always willing to work harder on it. What I hate- rocks/minerals and pretty much most other science. So, what do I do when I have to teach the things I hate? Move onto my professional passion- My big one is the lightbulb moments. I may not like what I am teaching but I will work my hardest to see the lightbulb moments in my students. And I enjoy hearing my kids say they don't want to go home, they want to stay in third grade, they don't want me to be out, etc because they truly enjoy my class and coming to school. THAT is what teaching is all about. Not the test. And the last area- personal passion- I don't know of a single student who doesn't want to get all up in your business. The more I incorporate my personal passions into my lessons and class discussions, the more intrigued the children are. If you love being crafty, incorporate arts and crafts into your lessons. My students are always interested in stories about Payton, so any time I can throw her into a lesson, I immediately have their attention. Even just starting a lesson with a simple- "Payton was coloring Easter eggs last night.." bam- I have their attention and all of a sudden we are sequencing and Payton is no longer involved. By adding personal passion into your lessons, it helps YOU to stay engaged and motivated as well. In the introduction to the book, Dave mentions that pirates are "daring, adventurous, and willing to set forth into unchartered territories with no guarantee of success."... They are "willing to travel to the ends of the earth for that which they value." Aren't those the types of characteristics we need to have as teachers? Have you lost that drive? Pick up this book and try to get it back! "Light yourself on fire with passion...and don't worry if it's not a controlled burn." Isn't this book incredibly inspiring? I can't wait to link up with all of you, but it will have to wait until my Internet is fixed :/ Until then, I'm going to spend my time with this book! Thanks for the heads up about the book study! My copy just came in the mail today. Can't wait to start reading (the book and everyone's posts). I LOVE this book so far! Thanks for letting me join in on the fun! Can't wait to continue! 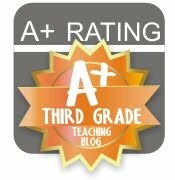 I found your blog & details about this book at Koonce's Korner and I am intrigued! I have added it to my cart at Amazon...Hope it gets here soon! I love your post about the PASSION chapter!! Light bulb moments...yes!! I also love those moments where you realize some students don't want to leave! Well done! "May" I help you with the paper piles?! Time to rest, relax, and REFLECT!